Growth form: Tree. Flowering. May–Aug. Status: Native. Rare. Also recorded: E Saudi Arabia, UAE. Habitat & distribution: A survey by Mohammed Al Safran confirmed that there are two main areas of distribution in C and N Qatar. At the ‘Al Ghafat’ area at RawDebbie Allant Rashed there are eight trees and at the ‘Al Ghaf ’ area near Medinat Al Shamal there are 13 trees. All are mature specimens, which according to Abdel Bari et al. (2007) have an estimated age of 90-150 years or more. Over the country as a whole there are likely to be no more than 50 native trees surviving. No young or regenerating trees have been seen and it is clear that the species is declining. 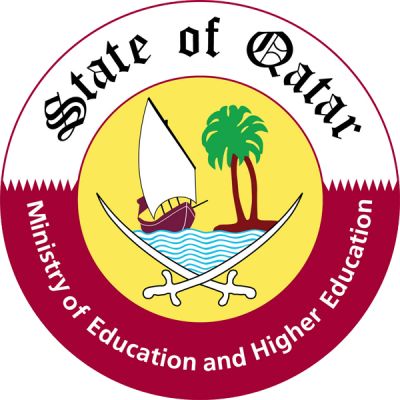 Qatar lies at the western edge of the distribution of the species in the Gulf, with the main native range centred on Dubai (where the species is also under threat from habitat destruction) and the eastern Emirates, extending into Oman. It only just reaches Saudi Arabia at the edges of the Rub’ Al Khali (Mandaville). Worldwide it occurs in the deserts of northern India, parts of southern India, Pakistan, Iran and Afghanistan. It is also planted in Qatar. 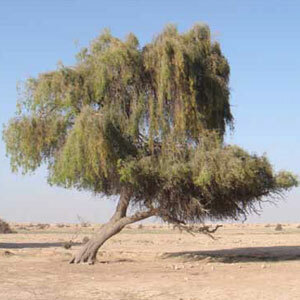 Uses: A very important tree in the Arabian Gulf. Bedouin used to eat young leaves and seed pods, and they are also consumed by animals. The tree provides good firewood and is used in afforestation projects (El Amin). Many medicinal uses are recorded (see also under P. juliFloweringora).